The talented Pan-African singer, songwriter and record producer known to his extensive and expanding fan base as WurlD, has been selected as the Apple Music New Artist Spotlight for the month of April. A multicultural musician going through a rapid evolution of sound and general appeal, WurlD is the King of cool and the Boss of beats – especially when it comes to his particular genre of music – “Electronic Soul with a fusion of African Rhythm and Sounds”. WurlD continues to deliver new flavours to his audience, masterfully weaving together the styles and rhythms he is so passionate about, to forge the eclectic sound which has made him famous. WurlD’s primary influences are hip hop, country, house, Afrobeat and pop music. Born in Nigeria and having lived for many years in the United States, he picked up a variety of beats, lyrical techniques and recording acumen which, combined with his rich voice, create the polished tracks we have all come to love. In February 2017 he dropped his debut single and video ‘Show You Off’, which has been a major international success. 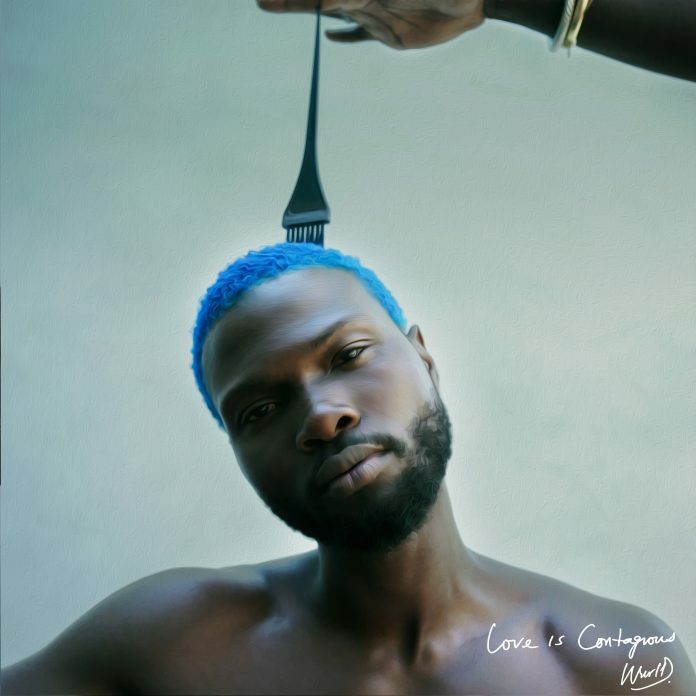 Aiming for the cosmos, WurlD has since released other highly successful singles, including ‘Contagious’ and ‘Paranoid’ in 2018 under Universal Music Nigeria, as well as “Trobul” with the well-respected Nigerian producer Sarz. WurlD has also had the chance to collaborate with som of the top international performers including Akon, B.O.B, Major Lazer, Mario, Wyclef and Trinidad James. Spotlight for April, WurlD said: “The dream is to have a successful musical career and create an influential brand. I hope to use the opportunities that I have been given to bring people together and to give back to the community in various ways. I hope it inspires other musicians and kids from Africa to follow their dreams”. spotlights new artists each month, giving them four weeks of editorial support across the Apple Music ecosystem. As a Hero artist, the feature also comes with inclusion in the Mzansi Hits Room and key Apple Music playlists such as The A-List: South Africa, Best of the Week, Gqom Nation and more. Other African artists such as Mayorkun, PrettyBoy D-O, Dremo, Di’ja, Korede Bello, Niniola, Tellaman and Sho Madjozi, have benefited from being featured on this platform. commitment and is ad-free. Apple Music is available on iPhone and iPad and also for download from Google Play for Android devices.